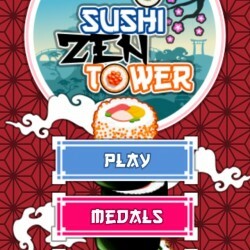 Challenge your patience and your balance with Sushi Zen Tower. Only with the calm of a true Zen Master you will able to reach the top and find the perfect balance! Easy to learn, hard to master – the way of Zen can be challenging! Which level will you be able to reach? Errors are not allowed! 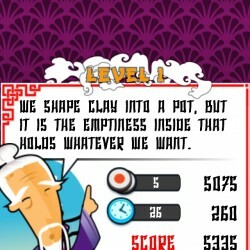 The Zen Master will be your guide and enlight your journey with the wisdom of his Zen quotes. 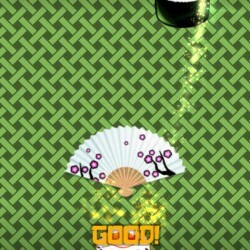 Stack up delicious sushi rolls to create the highest tower, always in a wobbly balance. 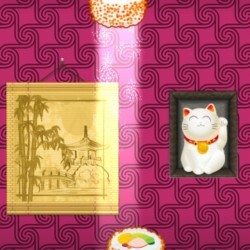 A perfect alignment of sushi rolls will result in a stable tower allowing you to progress to Zen perfection. Aligning same kind sushi rolls, you will make combos to gain more points, more time and a light guide to help you.